1. It contains salt and hence structure will remain damp. The mortar is affected by efflorescence and blisters appear. 2. 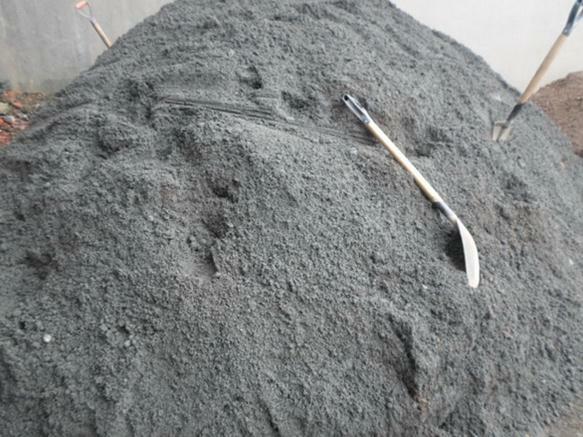 It contains shells and other organic matter, which decompose after some time, reducing the life of the mortar. Sand may be obtained artificially by crushing hard stones. Usually artificial sand is obtained as a by-product while crushing stones to get jelly (coarse aggregate). 1. It sub-divides the paste of binding material into thin films and allows it to adhere and spread. 2. It fills up the gap between the building blocks and spreads the binding material. 3. It adds to the density of the mortar. 4. It prevents the shrinkage of the cementing material. 5. It allows carbon dioxide from the atmosphere to reach some depth and thereby improve setting power. 6. The cost of cementing material per unit volume is reduced as this low cost material increases the volume of mortar. 7. Silica of sand contributes to formation of silicates resulting into the hardened mass. 1. It should be chemically inert. 2. It should be free from organic or vegetable matter. 3. It should be free from salt. 4. It should contain sharp, angular and coarse grains. 5. It should be well graded. 6. It should be hard. 0 Response to "Sand For Construction Building"